This pattern is written in standard American (US) terms, in the English language, with step-by-step instruction and plenty pictures for successful completing of your work (16 pages). 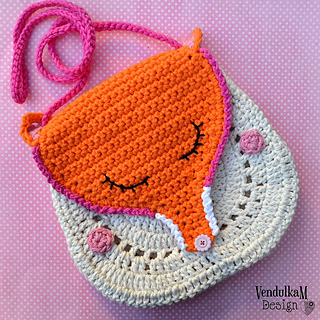 The pattern is available for instant download. 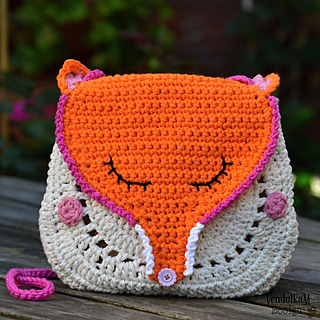 Once payment is confirmed, you will receive a link to download the pattern immediately. Hot Orange 28g/ 48 yards, Ekru about 75 g/ 128 yards, a small amount of White, Light Pink and Bright pink. You will need about 106 grams/ 183 yards of the yarn for the purse totally. 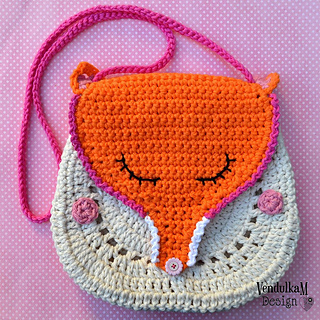 Measurement of finished purse: height 22 cm (8.6 inches), width 22.5 cm (8.8 inches) Please remember, that the size of finished bag depends on the used material and your own style of crocheting. Copyright © 2017 Vendula Maderska/ www.vendulkam.com. All rights reserved. 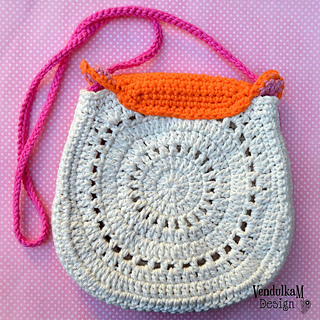 All images and designs, including the name and description of this pattern, are the intellectual property of Vendula Maderska. The pattern is for personal use only. The pattern or parts of it may be not reproduced, redistributed, resold, translated, published (online or printed), altered, shared or posted (for sale or free) over the internet or offline! You are allowed to sell finished creation using my pattern - in limited series and handmade by you. Please include a link or reference to my shop and write: based on the VendulkaM pattern or #vendulkampattern at socials. Thank you!